In order for technology to work properly, cable installation must be precise. For the contemporary homeowner, the challenge is figuring out how to plug in multiple electronics without having unsightly cables running all over the place or overloading the circuits. Even “wireless” devices require multiple wires behind the scenes. At Don Hegge Electric, we are wiring professionals and we guarantee our experts will get your television up and running properly. 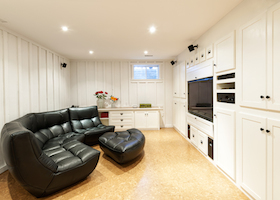 Whether you need to wire tv cable in a new home, add additional connections or replace a dated and insufficient system, Don Hegge Electric will help with all of your tv cabling needs. Are you preparing to build a new home? Or expand and remodel? We recommend pre-wiring to prepare for future technology needs. Pre-wiring allows you to avoid the costs of cutting through walls when technology advancements are needed. No problem. With today’s technology there is a variety of options for your television needs, which comes with more devices to be set up. 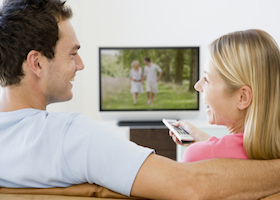 At Don Hegge Electric, we will make sure your tv cabling is set up properly across the entire house. No need to fight over one tv show when you can enjoy television in multiple rooms at the same time. 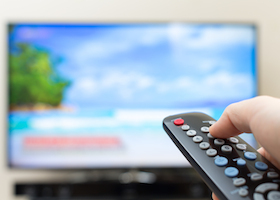 Get in touch with our staff to learn more about how our electricians at Don Hegge Electric can help you turn your television experience up a notch.